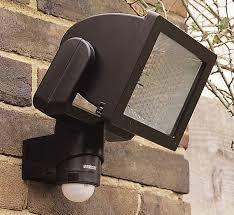 PIR security lighting is a quick, affordable and secure way of deterring the common criminal away from your home. It could well be the difference from a thief walking away from a burglary and coming into your home while you sleep. PIR security lights come in many sizes and brightnesses, they require virtually no maintenance after installation and are also great for lighting at night when you come home or if you are putting the bins out for example. Due to the wide range of PIR sensors available it would be a good idea to Contact Us to discuss your options. KeyWise will also come and assess your property if you would like a full assessment, free of charge. It’s as simple as that. Why should you choose Keywise What separates us from the rest? Hopefully these points will help to make your decision easier. When you call us, you can talk to an experienced, locksmith who can offer advice over the phone. We offer many services as a company and we always attempt non-destructive entries as we work with the customer to get them inside their property. our many services include,british standard lock upgrades, vehicle entry,unlocking safes,removing broken keys,burglary repairs,installing door chains/viewers.we also offer a full supply and fitting service of intruder alarms, cctv systems,window alarms,exterior shed alarms and pir security lights.